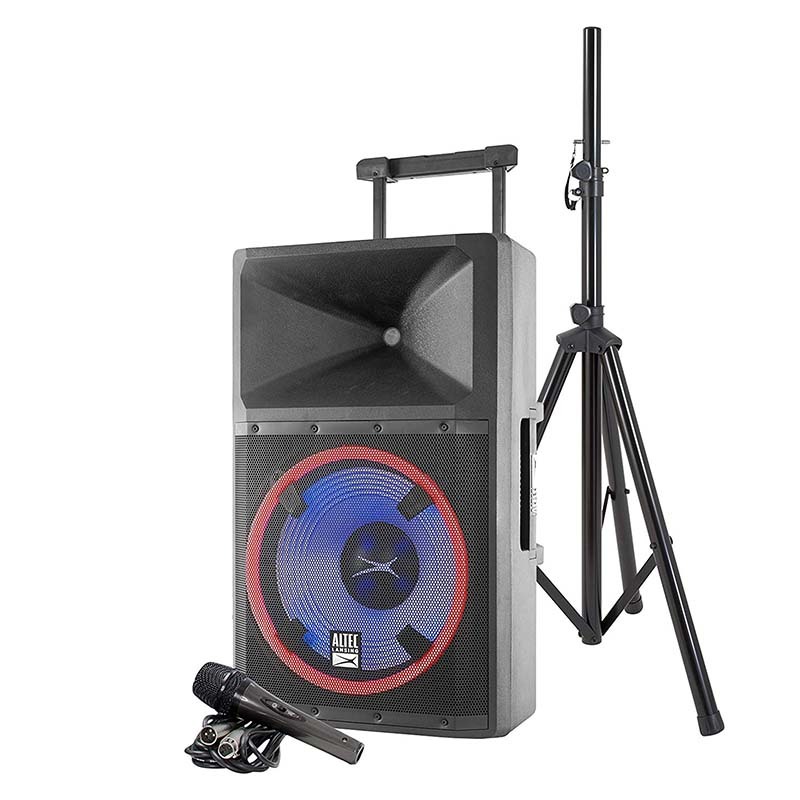 The Altec Lansing 2-Way Speaker keeps the party pumping all night long! Get your guests on their feet with 5 light modes and play your personal music collection via USB, SD, Bluetooth or the speaker's AUX port. This model also includes a collapsible handle and wheels, an FM tuner, a 15-inch woofer and a 3.5-inch tweeter.